Today, Apple (s aapl) is a huge player in the consumer electronics business, having just recently passed the market values of Intel (s intc) and Microsoft (s msft) combined. But in the late ’90s, Apple wasn’t nearly the juggernaut that it is today. Users began to lose confidence in the company as it struggled to come up with a next-generation OS to replace the ailing Mac OS 9. Finally, at WWDC 1998, Mac OS X was announced. It would turn out to be instrumental in putting Apple back into the hearts and minds of users. 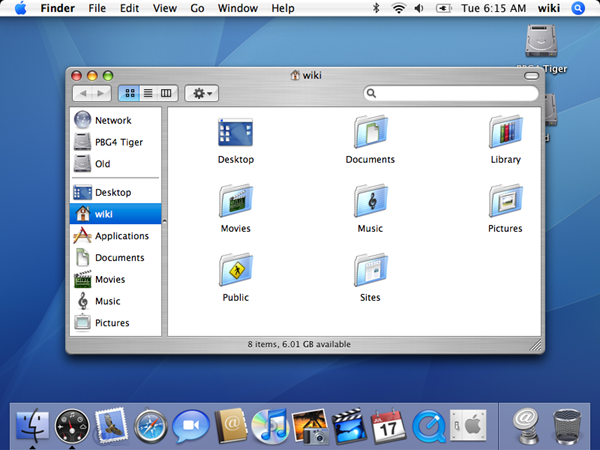 Since the release of Lion is just a month away, we thought we’d take a look back at the last 10 years of OS X.
Cheetah was the first release of OS X. It featured the new Aqua user interface, which at the time was quite the visual upgrade for OS 9 users. Despite being named for the fastest land animal, Cheetah was fairly slow, eliciting complaints from many Mac users. Theoretically, it was supposed to be more stable than OS 9 since it was based on Unix, but in reality ,it had many fatal bugs that would cause system crashes. 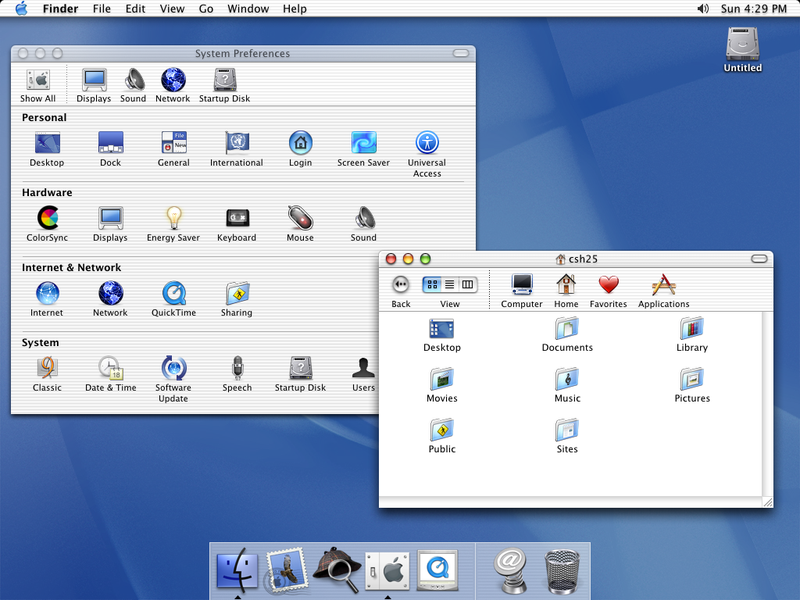 Even with its flaws, Cheetah was a good base upon which to build the future of the Mac platform. Puma was released a little less than a year after Cheetah. It was a free upgrade, as it was meant to fix bugs and performance issues in its predecessor. However, there were still bugs and missing features, and the Aqua user interface remained largely unchanged. Many Mac users said it still wasn’t fully developed enough to use full-time. But it was getting there. Jaguar featured more stability and speed improvements, bringing it up to the point where users started changing their minds about running OS X full-time. 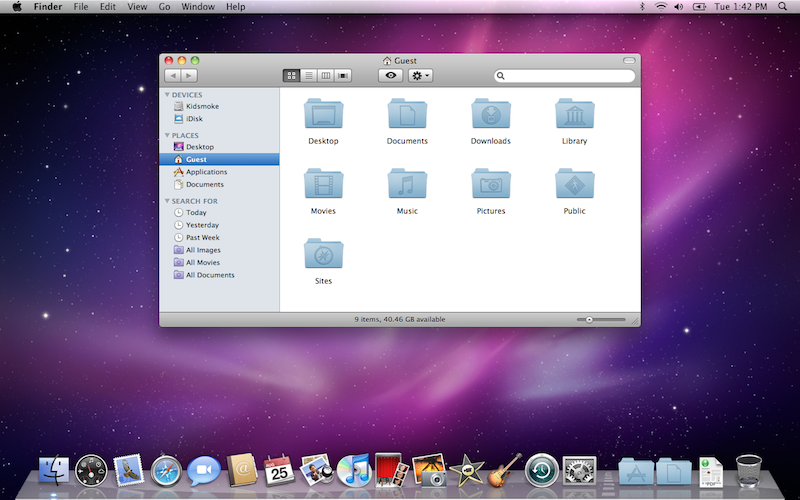 It also featured a revamped Finder, Quartz Extreme, network support for Windows computers, and more. 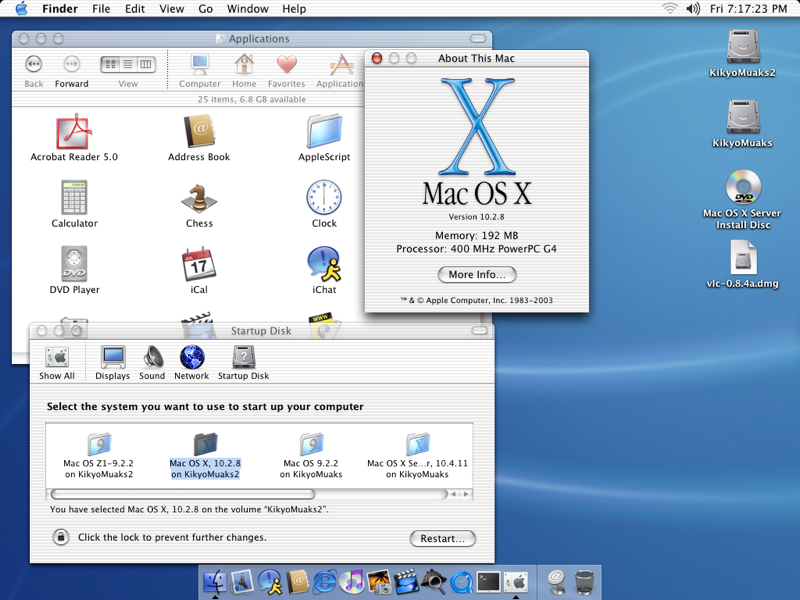 Panther was the first OS X release that couldn’t run on some older PowerPC-based Macs, such as the earlier G3s. Like its predecessors, it included numerous revisions and fixes, and also introduced us to Exposé, iChat AV, the Safari web browser, and, everyone’s favorite, the brushed-metal Finder. 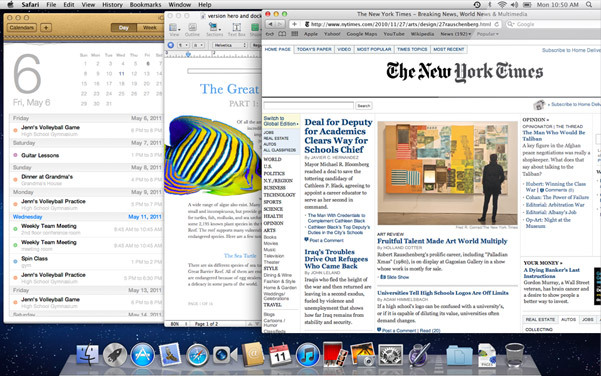 Tiger was the first OS X version that was released much more than a year after its predecessor — 18 months, to be exact. As such, it included an advertised 150+ improvements, including Spotlight, Dashboard, Automator, Mail 2, Safari RSS, QuickTime 7, and more. Tiger also represented a sea-change for OS X, as version 10.4.4 was capable of running on both PowerPC and Intel (s intc) processors, bringing about Apple’s transition to Intel’s architecture. If Tiger was late, Leopard was worse, coming out two and a half years after Tiger. The delays were worth it though, as Leopard was advertised as having twice as many new features as Tiger, including a revamped Aqua interface, Time Machine, Spaces, Stacks, Quick Look, 64-bit support, and more. 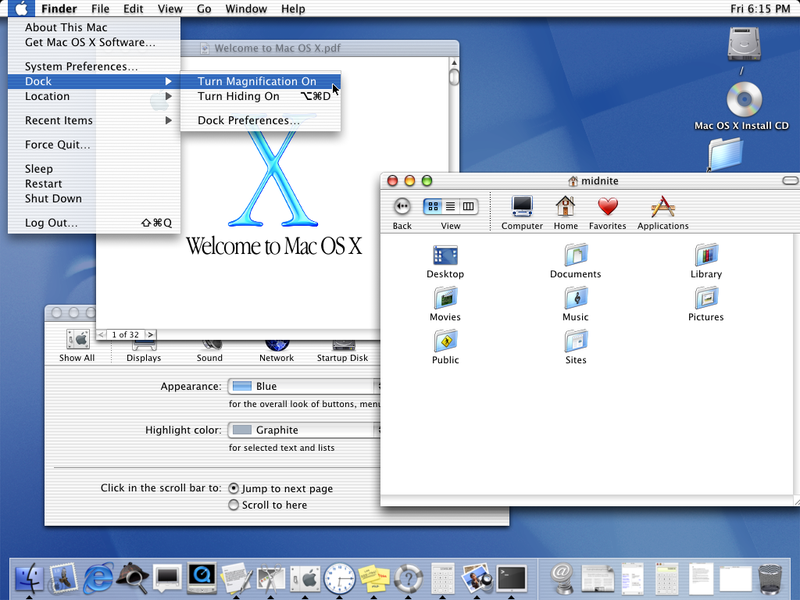 Leopard also did away with the Classic emulation layer, taking away the ability to run OS 9 apps on PowerPC-based Macs. 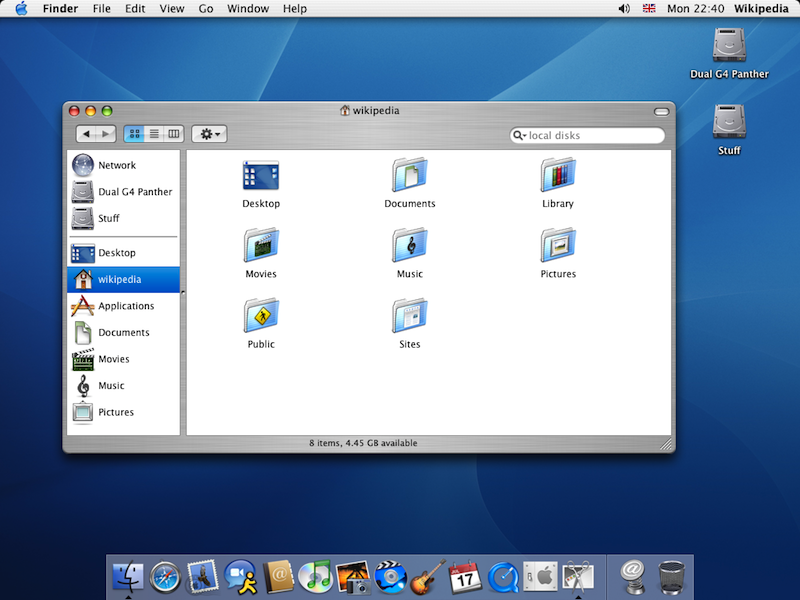 Snow Leopard, the current version of OS X, was released almost two years after Leopard, and was all about architectural improvements to the platform, rather than new user-oriented features. It included a complete rewrite of the Finder in Cocoa, a new version of QuickTime, and minor changes to several other core Mac apps. Under the hood, Snow Leopard introduced Grand Central and OpenCL, and was the first release of OS X to run core apps as 64-bit by default. 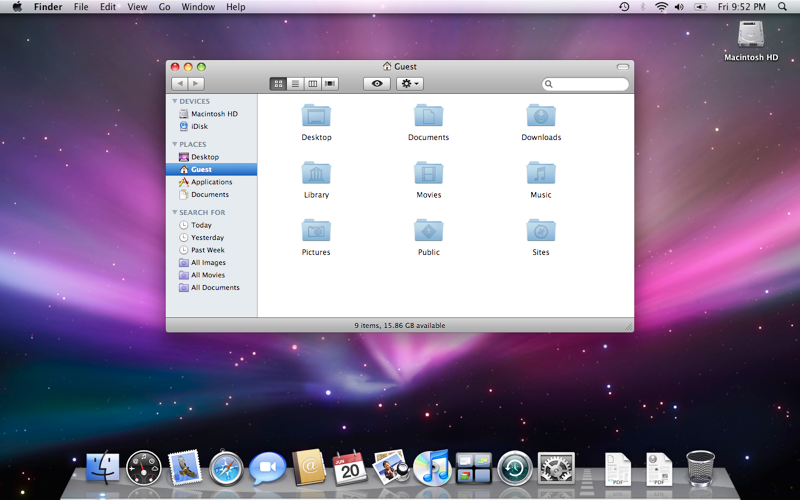 And that brings us to the newest edition to the Mac OS X family: Lion. Lion includes many changes that bring it up to date with concepts introduced in its mobile cousin, iOS, including Mission Control, Launchpad, Resume, Versions, AirDrop, full-screen apps, and a new user interface that makes a clean break from the glossy days of Aqua. Plus, for the first time ever, OS X goes digital-only delivery with Lion, which might be its single most influential change. Do you miss brushed metal and translucent title bars? Share your memories of past versions of Mac OS X in the comments. Panther on a Power Mac G4 from 2000 ran faster than my Vista machine from 2007. Now for iOS on my desktop screen. I stopped updating six years ago, since each update required me to spend time re-porting all my software for no adequately explained reason (I use my own software, but don’t sell it). These days, whatever comes with my Mac stays on it until the Mac dies. And it’s a sad fact that Macs, of all computers, still die prematurely…. I have Macs that have been running daily for 6 years, right next to new ones. Exactly how long do you think a computer is supposed to last? My bad… didn’t realize that Tiger had the brushed metal finish too! Uhm same screenshot for Panther and Tiger? Is Apple trading in my MacBooks Pro and Air for an iPad or an iPhone? Auto-devolve? If I wanted an iPad or iPhone, or cheesy apps from an onboard store, I would have bought one. I bought a MacBook Pro and a MacBook Air for greater functionality and the ability to deal with complex data whether file listings or data processing. Lion lumps me with the hobbyist and datebook users. This seems a mistake. I hope the Windows folks aren’t right, that the content market is now so driving Apple that functional performance not associated with a salable item is being given the heave0-ho. What are you basing this on? This is not a de-evolution of anything. The iOS features and navigation based on multi-touch is the future, like it or not. However, you don’t HAVE to use these functions. You can still launch apps from the dock, or the Applications folder and are by no means forced to use Mission Control or any of the other new bits and bobs if you deem their ease of use as being beneath you in some way. Seriously, get off the ledge and calm down. It isn’t nearly as big a deal as you are trying to make it. Apparently you aren’t paying attention. You lose nothing functionality-wise with Lion over Snow Leopard, and get some pretty slick additions like AirDrop, iCloud, etc. Give us one single example of how Apple is dumbing down OS X so that you can’t do your complex data manipulation or managing your files. That’s what I thought. You can’t.